At Hallmark Smiles Dental Care, we offer full as well as partial dentures to help restore your smile and boost your self-esteem. Today’s dentures are more comfortable and natural-looking than ever! First Visit – We will take a preliminary impression so we are able to produce customized trays for our final impression. Second Visit – We will take a final impression that we then send to our local lab. Third Visit – We do a bite check so we can measure the height of your teeth. At this point you are able to pick the shade. Fourth Visit – After we get the correct height, the lab will set the teeth in wax so that we are able to show you the shade and shape of the teeth before they are processed and finished. Dr. Larashi makes sure that patients are completely satisfied with their dentures before the final product is delivered. Fifth Visit – On this final visit you will receive your new dentures! We will be making any adjustments needed at this time, as well as explaining the proper care of your dentures. It is normal that the dentures may need further corrections as they are new and foreign to your mouth. You will always be welcome to come back for adjustments. 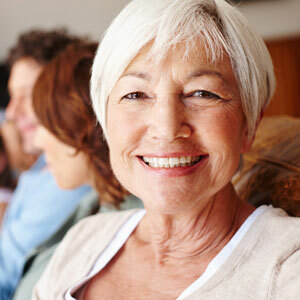 Generally speaking, your dentures should last 5-10 years provided you take good care of them. If you need multiple teeth extracted, we offer same day dentures to make sure that you are not without teeth for an extended period of time. These dentures are delivered right after we extract your teeth. As you heal, the bone and gums are going to continue to remodel for the next six months. Once your mouth has healed completely, Dr. Larashi may recommend a permanent lab reline to your immediate denture or a new denture. If you are looking for a more secure type of denture and implant retained overdenture may be best for you. Dr. Larashi works closely with a local lab to make sure your denture will fit precisely over your implants. These overdentures may give you the extra support you need while giving you a beautiful smile. Whatever the type may be contact us today to book a consultation for your new dentures!